A new publication is available to help concrete pavement engineers understand the causes of premature joint deterioration in cold weather states. 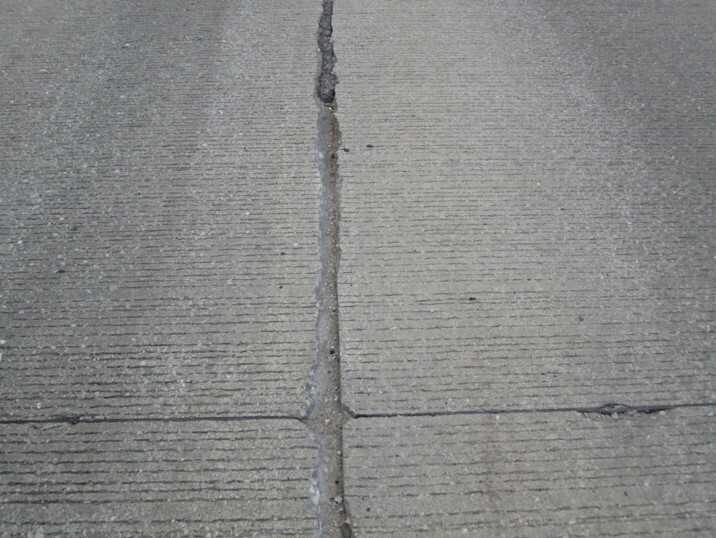 The Guide to the Prevention and Restoration of Early Joint Deterioration in Concrete Pavements was published by the National Concrete Pavement Technology Center (CP Tech Center) at Iowa State University. It summarizes recent research findings that also will help engineers prevent or limit the deterioration. The information also is relevant for designing, constructing, and maintaining durable concrete pavements. “For more than a century, portland cement concrete pavements have served the traveling public well,” said Steven Tritsch, CP Tech Center associate director and the project’s principal investigator. However, over the years joint design has seen changes in spacing, width, depth, and formation. Materials engineers also have gained knowledge about the concrete mixture itself related to improving joint mixture. The project was sponsored by the Iowa Highway Research Board (IHRB project TR 697). Freeze-thaw damage is occurring in joints when a critical degree of saturation is reached or exceeded. Salts can exacerbate the problem by keeping joints in a high state of saturation. Certain deicing/anti-icing salts (calcium chloride and magnesium chloride) react with cement paste to form calcium oxychloride, an expansive compound that is detrimental to concrete pavement performance. Design a durable concrete mixture emphasizing a low water-to-cementitious-materials ratio, an adequate entrained air system, supplementary cementitious materials (especially Class F fly ash), and well-graded aggregates. Use deicing/anti-icing chemicals appropriately by carefully choosing ones based on the environmental conditions at the time and consider waiting 30 days before exposing newly placed concrete to chemicals. Follow general good practice for concrete pavement design, construction, and maintenance. Concepts deployed in this project that are related to performance engineered mixtures are included in a new provisional AASHTO (American Association of State Highway and Transportation Officials) specification (PP 84) published in February 2017. The result should be, he added, reduced need for concrete pavement joint repair and related costs and fewer joint repair-related traveling disruptions. The CP Tech Center is located at Iowa State University’s Institute for Transportation.